KARACHI: The Sindh government announced on Tuesday the feasibility study for Thar coal had been completed and some two billion tons of coal reserves were in block-II that would generate 5,000MW electricity for the next 50 years. The announcement was made at a ceremony held at the chief minister’s House in presence of Chief Minister Qaim Ali Shah, provincial ministers and advisers of the finance, planning and development departments, and officials of the Engro Coal Mines Company. “Now that the feasibility study has been completed, the government would complete the infrastructure at the coal field. 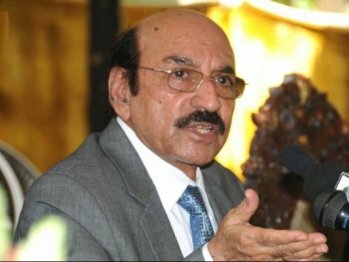 Both the federal and provincial governments would initially provide funds for the provision of water,” said Shah, adding that the government was already working on connecting the field with the road network. The chief minister said that Economic Coordination Committee of the Cabinet had granted incentive package for attracting foreign investors to the Thar coalfield. “The incentive package offers 20 percent internal rate of return to firms which achieve financial close by 2015, and for 30 years, investors will be exempted from customs duties on import of coal mining machinery. Besides, the construction machinery at Thar will get exemption on withholding tax. Under the package, the government will not charge other levies such as WWF, WPPF and federal excise duty for 30 years. Under the federal government’s incentive package, the Thar coalfield would be declared as a project of national security.